The Swans will be full of confidence after their performance and point away from home last week against the current champions, whilst Newcastle also drew 2-2, at home to last season’s surprise package Southampton. In fact the only negative (if we were being very crtitical) last week was perhaps that the Swans didn’t take all 3 points having made Chelsea look decidedly sluggish and toothless to say the least. The potential loss of Ki for the Newcastle game due to a hamstring injury picked up on the opening weekend is not as big a blow as it might have been with the more than able Jack Cork ready to take the Korean’s place in midfield. So what of Newcastle, a team who more than flirted with relegation at the end of last season. The appointment of Steve McClaren was seen by many as a move to stabalise the club and much-loathed owner Mike Ashley has backed his man by getting the chequebook out to strengthen the Magpies squad. The acquisition of Dutch international midefielder Georginio Wijnaldum was a coup and he is certainly a key figure as to how well or not the Magpies will do this season. Another player to keep an eye out for is Papiss Cisse, who seems to like scoring against the Swans having netted 4 times in 4 outings, including last season’s brace at the Liberty. No doubt his proposed replacement – and long-term Swans target Aleksandar Mitrovic – who signed for the Geordies from Belgium side Anderlecht will also come in for some close scrutiny both on and off the field! 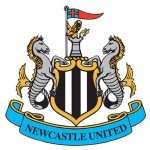 Reports from the Geordies draw with the Saints last week suggested that Newcastle were very quick on the counter-attack with plenty of pace in the side. On that basis – and having witnessed Jefferson Montero terrorise Ivanovic on one flank and the energetic Andrew Ayew operating on the other – we could be in for a cracker of a game, IF Newcastle come to play of course rather than shut up shop. All in all an intriguing content awaits, but in light of the Swans performance last week and the Magpies still finding their feet under Steve McClaren, I expect the Swans to get their first Premier League win of the season, especially against a side whom they obviously like playing having picked up more Premier League points (17 out of a possible 24) against them than any other other Premier League club! Fabianski; Naughton, Fernandez, Williams (Capt), Taylor; Cork, Shelvey; Ayew, Sigurdsson, Montero; Gomis.. Given the Swans rich vein of form against the Toon, Paddy Power are giving the Swans to win at 19/20 and win a 1-0 win at 6/1. The odds of 8/1 for Andre Ayew being first goalscorer is quite appealing too!